Happy Friday! 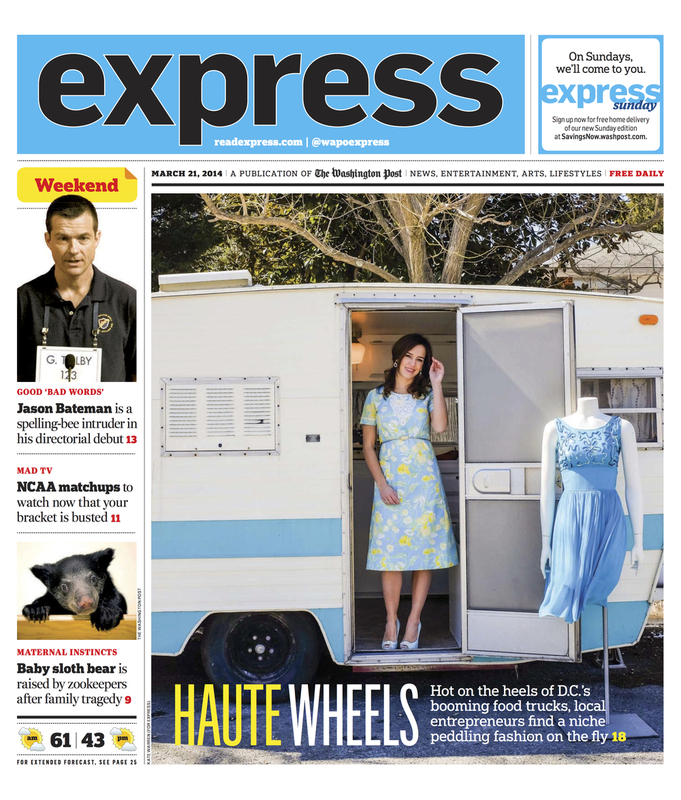 I recently hit the road for The Washington Post Express to shoot for today's cover story on fashion trucks (check out the whole feature by Holley Simmons HERE). The lovely Ashley Grant of Gypsy de la Lune hosted me in her mid-century home and 1974 fashion trailer in Bethesda, out of which she sells perfectly girly vintage dresses. She lovingly converted the trailer into a rolling vintage closet, where clients can shop for dresses and accessories on the go. She'll be debuting it at the opening of District Flea, next month, so keep an eye out. Aside from being impeccably stylish which pregnant, she has a great eye, and I had a lot of fun taking these natural light photos as we chatted over coffee one morning. Much to my surprise, she sent me off with a perfect 70's vintage leather jacket that she'd found for me months ago and saved in her closet after I had mentioned I wanted one. How's that for an awesome friend? Ashley is the perfect example of what I love about the DC style scene - friendly, generous, and proud to share her unique vision. I feel lucky to know a woman (and mom!) this cool, and hope she inspires you as much as she inspires me.